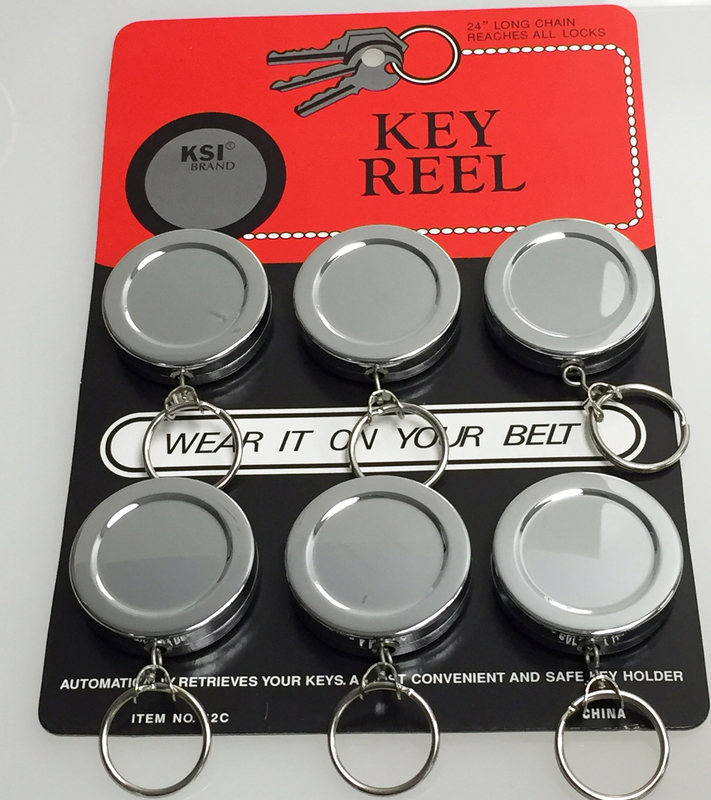 Our nickel plated retractable key reel measures 2" in diameter and has an extended chain of 18". This is a deluxe product with a tempered belt clip. Packaging is bulk.